Yet another alleged human ancestor admittedly doesn’t quite make the cut. There is probably only one thing that all scientists agree on—that the name of the game in all operational science and technology is verification. The Boeing Company has built a number of its new 787’s, the “Dreamliner.” All of these planes are involved in a two-year testing program. No paying passenger will ever fly on a 787 until that testing program is completed. The FDA will not allow drugs on the market until they have undergone extensive tests. Automobile companies have recalled thousands of cars because of problems that were not suspected in the original design. We demand this type of testing and proving of products to insure our physical safety. It is nothing short of amazing that we do not demand this type of verification for our spiritual safety. God seems to be more concerned about our spiritual safety than we are. God verifies! The miracles performed by Jesus and his resurrections of people from the dead were witnessed by thousands of people. In fact, God does extreme verification! He reveals the one area that human will never be able to know: the future. There are hundreds of prophesies in the Bible that have come true—with great specificity and detail. God, Himself, states that this is how we can know that He is the One and True God ( Deuteronomy 18:21-22 ). God has done everything possible to verify Himself, His Word, and His work. In stark contrast to God’s verification of Himself and His Word, the concept of evolution has not ever been verified and cannot be verified. No one has witnessed the evolution of life from non-life. Nor have they witnessed the evolution of multi-cell life from single-cell life, or the evolution of fishes from invertebrates, or the evolution of amphibians from fishes, or the evolution of reptiles from amphibians, or the evolution of mammals from reptiles, or the evolution of primates from mammals, or the evolution of humans from primates. Nor has anyone witnessed even one of the millions of steps necessary between these major categories. The cranium of Malapa Hominid 1, Holotype of Australopithecus sediba from South Africa. Photo by Brett Eloff, courtesy Lee Berger and the University of the Witwatersrand, obtained from Wikimedia Commons. The Science editor is much too modest in stating the problem. The problem is not that there are “few fossils that provide detailed information on this transition” [emphasis mine]. The real problem is that there are no fossils that provide detailed information on this transition. A review article by Michael Balter in the same issue of Science describes this time slot as “a murky area of human evolution” and states that “the oldest Homo specimens are scrappy and enigmatic.” Donald Johanson, the discoverer of the famous fossil, Lucy, is quoted as saying: “The transition to Homo continues to be almost totally confusing”2 hence, the reason for optimism and hope by discoverer Lee Berger that Au. sediba may be a link between the australopithecines and the first humans. To date, there are no legitimate candidates for this position, and, unfortunately for evolutionists, Au. sediba also fails to qualify. 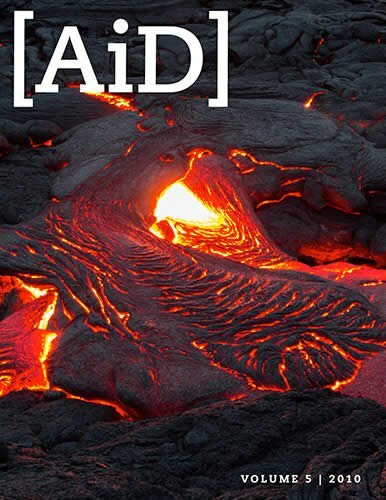 There are several reasons for giving Au. sediba a “pink slip.” First, from an evolutionary perspective, Au. sediba appeared on the scene too late in time. Even evolutionists recognize that Homo (humans) had already arrived. In my book, Bones of Contention, I list three fossils from Kenya and Tanzania dated by evolutionists at older than 2 million years that, morphologically, are indistinguishable from modern humans. Further, I list at least 18 Homo erectus fossils that are dated by evolutionists between 1.75 and 2 million years.3 More recent Homo discoveries include an upper jaw (maxilla) from Ethiopia and a lower jaw (mandible) from Malawi, both dated at 2.3 million years. Third, Berger and his team write: “H. habilis is generally thought to be the ancestor of H. erectus, although this might be questioned on the basis of the considerable temporal overlap that existed between them.”6 Berger and his team just condemned their own fossils because their Au. sediba fossils overlap Homo erectus just as the Homo habilis fossils do. Obviously, the evolutionist problem of a transition between the australopithecines and Homo (humans) has not been solved, and any verification would be impossible. Just what is Australopithecus sediba? In place of the science-fiction, sadly, offered by evolutionists, there is verifiable data to help us. The picture of the Au. 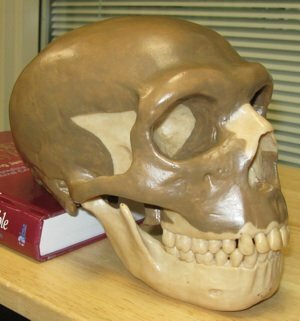 sediba skull shown in the Science article reveals that it looks strikingly like a chimpanzee. 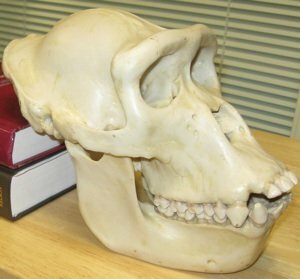 A study of my plaster cast of a chimpanzee skull confirmed it to my own mind, and one can find a picture of a chimpanzee skull in almost any book on physical anthropology. The Berger team also write: “The closest morphological comparison for Au. sediba is Au. africanus.”7 My own cast of an Australopithecus africanus skull confirms its likeness to Australopithecus sediba, and pictures of such skulls confirm the same.8 And Australopithecus africanus also closely resembles a modern chimpanzee. Many have observed that while there are thousands of fossils of humans and their alleged human ancestors, there are relatively few fossils of non-human primates. The reason is quite simple: when a non-human primate fossil is discovered, it is not recognized as such, but is instead claimed to be an evolutionary ancestor of humans. Studies reveal that the biblical word, kind, used ten times in Genesis 1, is a much broader word than the scientific word, species. 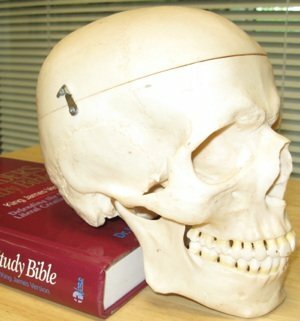 For instance, the skeletons of sheep and goats are virtually identical, indicating that they might be members of the same original Genesis kind, even though their outward appearance is different. The skulls of lions and tigers are so similar that even experts have difficulty telling them apart,9 but no one has difficulty recognizing either one in a zoo or in the wild. They seem to be members of the same original Genesis kind because they have interbred.10,11 The most parsimonious explanation regarding Australopithecus sediba is that it and Australopithecus africanus are both extinct varieties of the original Genesis ape kind. 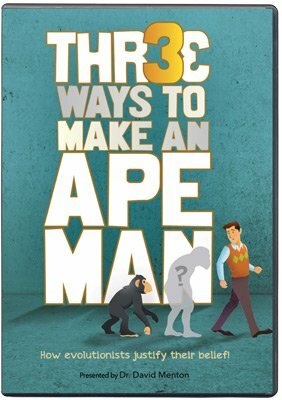 Editor, “From Australopithecus to Homo,” Science 328: 133. 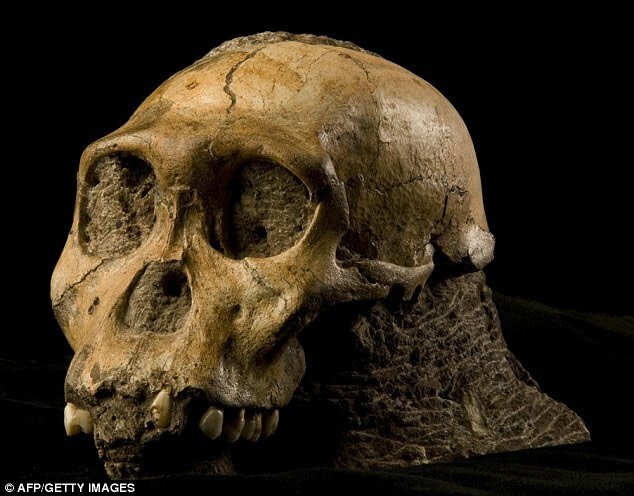 Michael Balder, “Candidate Human Ancestor From South Africa Sparks Praise and Debate,” Science 328: 154. Marvin L. Lubenow, Bones of Contention, revised edition (Grand Rapids: Baker Books, 2004) 340, 350–351. 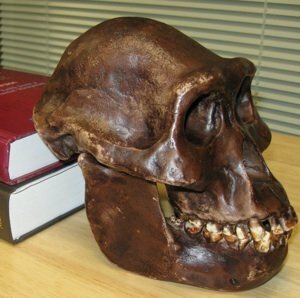 Lee R. Berger, Darryl J. de Ruiter, Steven E. Churchill, Peter Schmid, Kristian J. Carlson, Paul H. G. M. Dirks, Job M. Kibii, “Australopithecus sediba: A New Species of Homo-like Australopith from South Africa,” Science 328: 203. This is the gist of the problem. The study of origins is historical science, not verifiable, observational science, such as the Boeing example above. To conflate the two is sadly common in much of the evolutionist literature. See also Evolution Exposed, What Is Science? Lee R. Berger, Darryl J. de Ruiter, Steven E. Churchill, Peter Schmid, Kristian J. Carlson, Paul H. G. M. Dirks, Job M. Kibii, “Australopithecus sediba: A New Species of Homo-like Australopith from South Africa,” Science 328: 195. Lee R. Berger, Darryl J. de Ruiter, Steven E. Churchill, Peter Schmid, Kristian J. Carlson, Paul H. G. M. Dirks, Job M. Kibii, “Australopithecus sediba: A New Species of Homo-like Australopith from South Africa,” Science 328: 196. Michael H. Day, Guide to Fossil Man, fourth edition (Chicago: University of Chicago Press, 1986) 281. Stephen J. O’Brien and Warren E. Johnson, “The Evolution of Cats,” Scientific American, July 2007, p. 74. Don Batten, “Ligers and Wholphins?” Creation 22(3): 28. This interbreeding could be a type of verification for the Genesis kind concept, although the study of kinds (called baraminology) is a field still being developed by creation researchers.